Keywords: Maudsley. Civilisation. Progress. Insanity. Heredity. Alcoholism. Statistics. 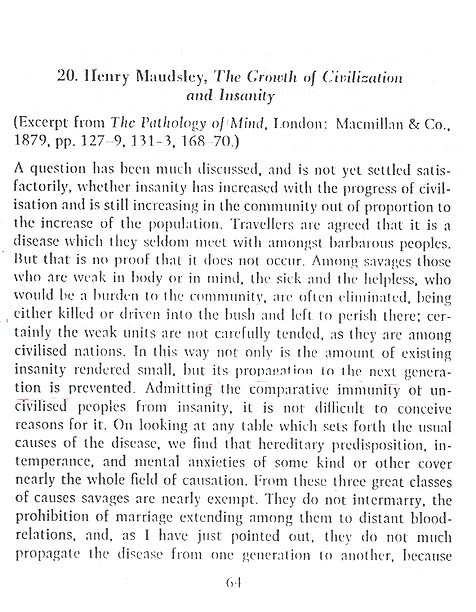 Excerpt from Henry Maudsley, The Pathology of Mind (1879) in V. Skultans (ed. ), Madness and Morals: Ideas on Insanity in the Nineteenth Century (1975), pp. 64-67.